Cross World Africa Inc. provides gifted young girls and boys with secondary school scholarships (high school) to continue their education. These scholarships began in the humble hills of Kenya, just outside Kapsabet, at the feet of the Nandi Hills region, is the small village of Komobo. This area of Kenya has been called home by dozens of elite athletes since the nation's independence, and CWA's early connection with Olympic gold medalist Peter Rono made this secondary school a longtime partner with the foundation. 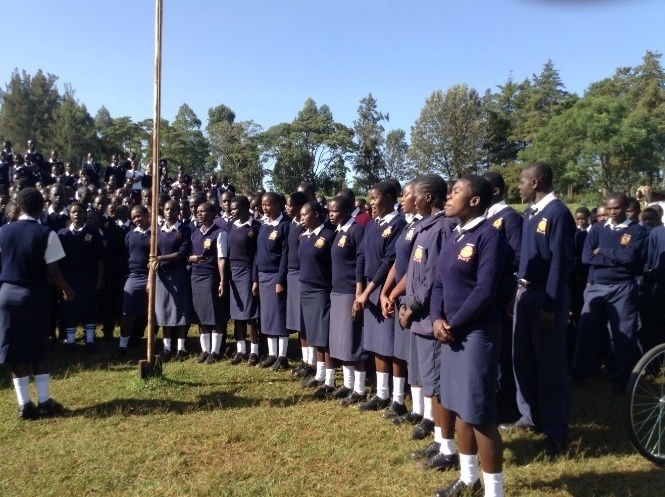 Komobo Secondary is a rural school that is plagued by lack of funding and lack of resources. That is why Cross World Africa has endeavored to fund scholarships and projects for the students and the school since 2007. In 2017, Cross World Africa Inc. began expanding these scholarships to include students from all over Kenya, including the larger cities of Kisumu and Nairobi. Education is critical to breaking cycles of inequality, and CWA endeavors to make sure that every deserving child has the chance to complete their education. Support the Secondary School Scholarship Program Today!